We're starting to see punctuation after middle name initials -- not necessary! Please ignore all punctuation while indexing the Indiana Marriage Records. Milton Akers married Rachel REDMAN (born 1820 in Ohio) on June 21, 1838 in Champaign County, Illinois. They were in the 1840 and 1850 censuses in Champaign County, Illinois. The only George Akers who's in Indiana for the 1830 census is in Silver Creek Township, Clark County, Indiana. If you can help with this family, please contact Melanie Adams (bobnmel@air-internet.com) directly. Herbert left Bertie when the children were small and remarried. --John W. Enlow (born December 1872 in Indiana)—married Minnie about 1896. --Jonas G. Enlow (born September 1877 in Indiana)—married Carrie Grant. An Enlow researcher has published a book that says that Jonas G. Enlow's mother was named Elvira THOMPSON and that she married to a Henry Enlow (born 1835 in Knox County, Indiana; died 1877 in Kansas) and that this Henry Enlow may have had a brother named Joe or Joseph Enlow. HAINES, GREEN and BELL appear to be family names associated with this family. Any help on this family would be appreciated. The Northwest Territory Genealogical Society and the Knox County Public Library are co-sponsoring a Genealogy Seminar on Saturday, April 21, 2007. The seminar will take place at the Vincennes Fortnightly Clubhouse, 421 N. 6th St. in Vincennes, Indiana. Registration begins at 8:45 am, with the first session getting underway at 9:30 am (all times are Central Time Zone). This year’s seminar will feature two speakers. Morning sessions entitled “Publishing ‘The Book’” and “Details and Demonstrations for Self-Publishing” will be presented by Larry Goss. 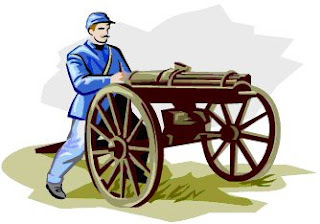 Afternoon sessions on “Civil War Union Military Records” and “Civil War Union Pension Records and GAR Records” will be presented by Ron Darrah. Several area societies will have their genealogy and local history books for sale. If you haven't made your hotel reservations yet for the 2007 Indiana Genealogical Society conference (which will be Saturday, April 28 at the Allen County Public Library in Fort Wayne--see http://www.indgensoc.org/conference.html for more info), you might want to consider the Hilton Fort Wayne at the Grand Wayne Center (1020 S. Calhoun St., Ft. Wayne IN 46802; http://www.ftwayne.hilton.com). They are offering a block of rooms at $89 per night (+ tax). To receive this special rate, you must make your reservation directly with the hotel (call 260-420-1100). Make sure to mention the IGS conference. Note: Any cancellations must be made 72 hours before your scheduled arrival.